Prominent & Leading Manufacturer from New Delhi, we offer 20 mm artificial grass, 25 mm artificial grass, 35 mm artificial grass, 35 mm artificial lawn grass, 40 mm artificial lawn grass and 40 mm straight artificial grass. Supported by trained personnel, we are readily instrumental in presenting a comprehensive spectrum of 20 MM Artificial Grass. Reckoned amid one of the credible market names, we are willingly engaged in offering to our patrons 25 MM Artificial Grass. Fostered with enormous business understanding of this realm, we are involved in presenting a broad consignment of 35 MM Artificial Grass. 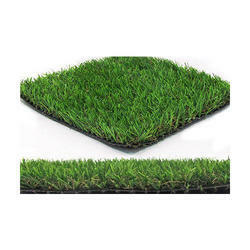 Backed by our prosperous industry acquaintance, we present 35 MM Artificial Lawn Grass. Leveraging on our vast knowledge of this realm, we are betrothed in presenting an optimal quality series of 40 MM Artificial Lawn Grass. We are foremost organization, actively occupied in providing a wide range of 40 MM Straight Artificial Grass. Our organization is ranked amongst the reputed names in the market for providing Artificial Lawn Grass. Furthermore, we present this at nominal prices. Owing to our affluent industry acquaintance, we present Green Artificial Grass. We are renowned organizations of market for presenting the optimum quality range of Residential Artificial Grass. Backed by a rich industrial experience, we are engaged in offering a commendable array of 40 MM Artificial Grass.